The Diesel Rx Diaphragm Fuel Pressure Regulator is fully adjustable from 7psi to 70psi. 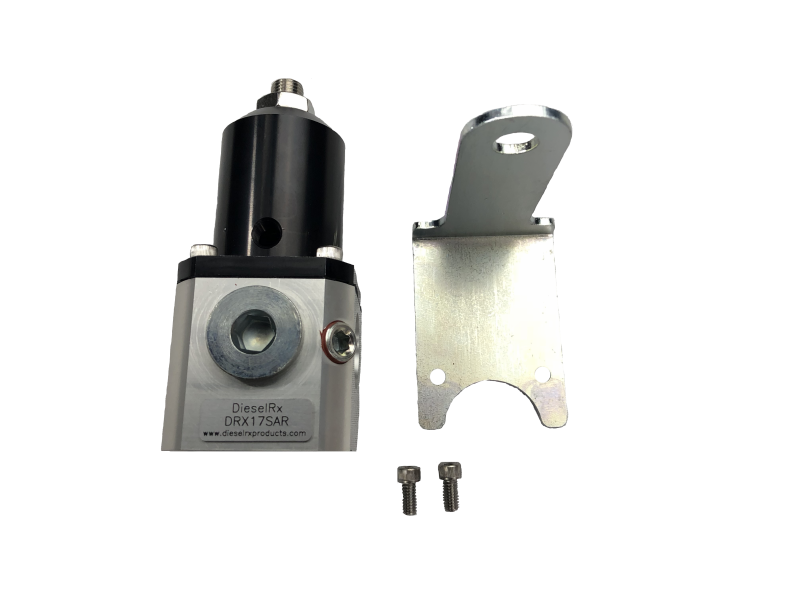 This regulator can be used in conjunction with any diesel aftermarket lift pump that doesn't already have this style regulator integrated in it. The regulator can be set up to run as a regulated return or it can be used on the pressure side of the fuel pump with a return ran back to the tank. This regulator utilizes -8 O-ring Boss Ports which can be adapted to -10AN if needed.